Metrorail is set to open two hours early Saturday for the Rock 'n' Roll Marathon, Half Marathon and 5K, WMATA has announced. The rail system will open at 5 a.m. that day instead of 7 a.m.
Marathon runners should use Metro Center, Federal Triangle, Smithsonian or Archives to get to the start line. Runners in the 5K should use the Stadium-Armory station. All three races will finish at RFK Stadium. When leaving, runners should use both entrances to Stadium-Armory to minimize wait times. WMATA is also suggesting that riders load enough value onto their SmarTrip cards for their entire round trips ahead of time to avoid lines at fare machines. 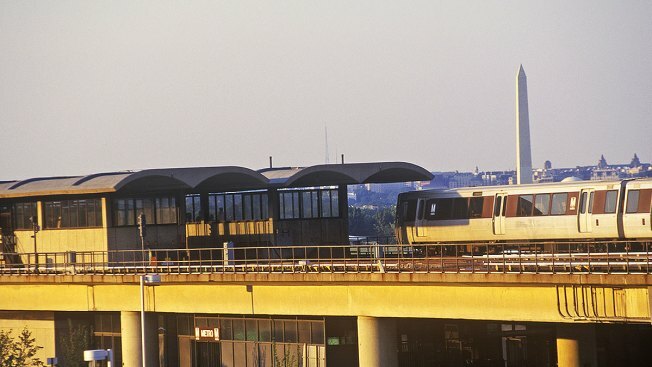 However, Metrorail riders should be aware that, due to weekend work, Red Line trains will run in two segments: Shady Grove to Silver Spring and Silver Spring to Glenmont. Metrobus riders should expect delays due to Saturday's races. If you're planning on taking Metrobus, plan for extra travel time or use Metrorail if possible. Riders can transfer from Metrobus to Metrorail for free during the event by asking their bus drivers for a special transfer. See a full list of Metrobus detours here.